Pump It Up Party Contest + Scribblenauts Unlimited Nintendo 3DS Giveaway | More Crunchy Beach Mama! I don’t know about you, but I am entering more contest and giveaways this time of year. When I see one that is Video Game related, I jump at it! Have you see the new Nintendo Wii U? A Wii device that turns handheld. Pump It Up Party, a national company that specializes in birthday party entertainment, has a fun Facebook contest going on. Not only can you win a Wii U, but the Grand Prize is a Family Home Entertainment Center! 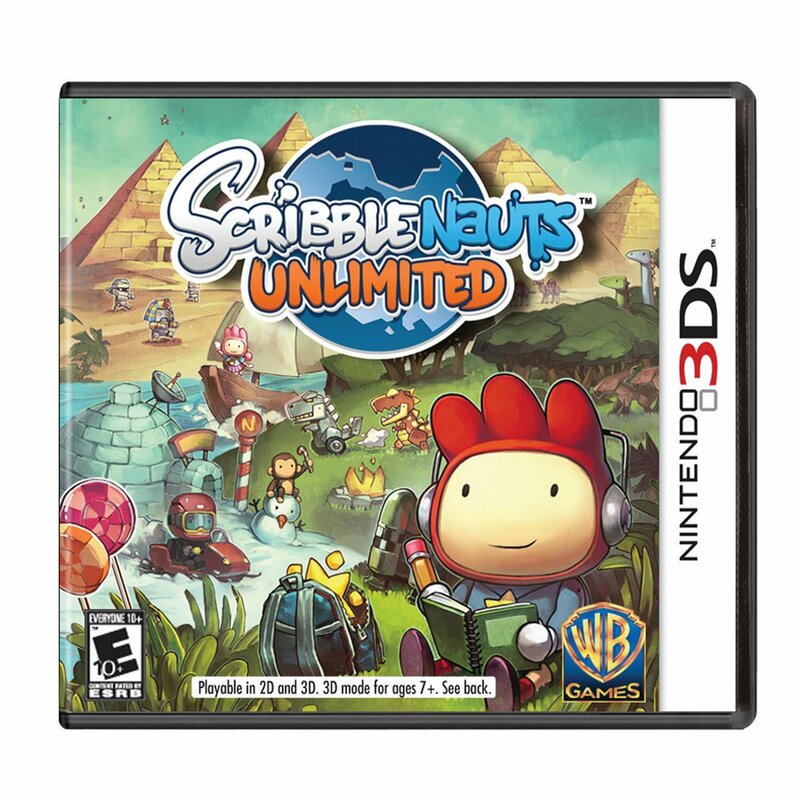 Pump It Up Party is hosting a national contest surrounding the release of the award-winning video game, Scribblenauts Unlimited and 7 winners will also win a copy of the game. Besides the Wii U, it is also available on the Nintendo 3DS. Scribblenauts Unlimited features a huge side-scrolling open world with new, high-definition hand-drawn scenery and objects where players can help the game’s hero, Maxwell, solve robust puzzles and challenges by summoning any object they can imagine. Players now have the ability to create their own original objects, assign unique properties, and share them with other players online – to be used in game or further modified as they like! Head to Pump It Up Facebook page and you use your imagination, in 50 words or less, to help Maxwell reach the Starite at the top of the Slippery Slope at Pump It Up. Get your kids involved! We had fun with our submission. I received this products for review and all opinions are my own. This giveaway will end on December 12, 2012 at midnight EST. Winners will be drawn via rafflecopter. Once a winner is drawn I will contact them and they will have 48 hours to reply before I draw a new winner. Giveaway is open to anyone in the US and you must be 18 years of age or older. Giveaway not affiliated with Facebook & I release them of liability. Winner will be posted in the rafflecopter widget.